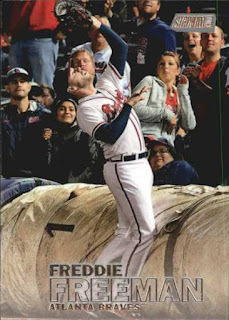 From another stash of 2016 Topps Stadium Club at a card shop, I grabbed 52 more TSC cards - I printed out a generic checklist as a worksheet to mark off the cards I've found, to mark out priorities I'm looking for and to mark cards that are not priorities. Despite receiving a $4.5 million signing bonus in 2012 - Beras is probably still figuring out the nuances of playing the game, so his hitting numbers are underwhelming, particularly in the hitter friendly California League. 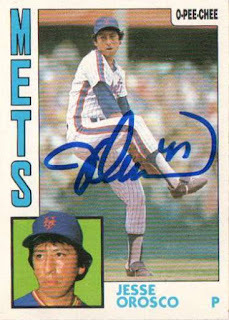 I've gotten him to sign just a few times and as a general greeting, he asks how you are doing - maybe the greeting isn't so unique or personal, though I don't usually expect it from foreign born players who might not have a good grasp of the English language. 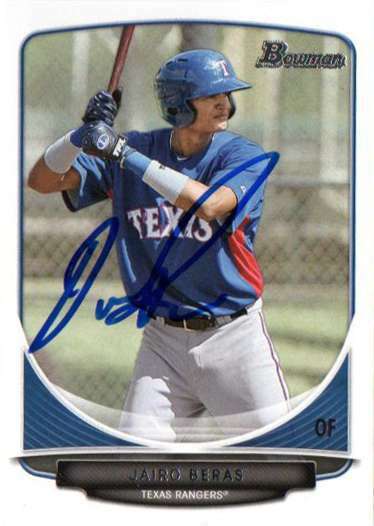 I do want to say Beras is a Sharpie killer with the way he holds the pen with his knuckles and signs autographs - his 'form' is kind of unique and makes me cringe at the same time. 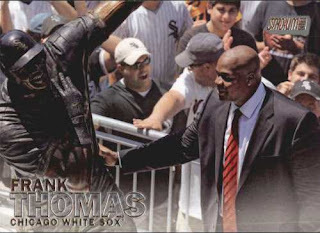 I don't think the Hall of Famer's autograph is rare, but he's old and you typically have to pay to get him to autograph something through a private signing perhaps - so while an outing to get someone's 'free autograph' at MLB All-Star Fan Fest isn't without its expenses, waiting time and other inconveniences, it's kind of a ritual to get something signed in-person as opposed to purchasing an autograph from a memorabilia dealer on eBay or something. 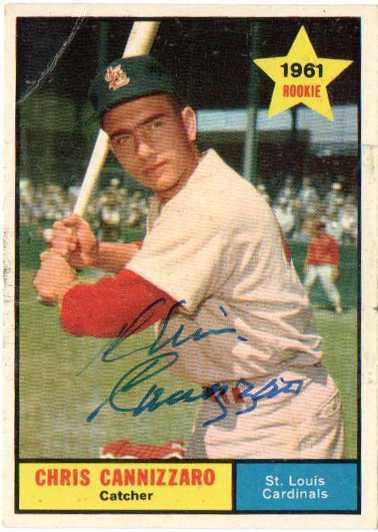 Cannizzaro was in rough shape but managed to sign autographs at MLB All-Star Fan Fest - he first San Diego Padres All-Star and was on both the Padres expansion team in 1969 and the New York Mets expansion team in 1962. I got five cards [all MLB authenticated for what it's worth] signed by the former utility player and longtime coach at the MLB All-Star Fan Fest - Ready played in the middle of the junk wax era so even as a rank-and-file player, he had a lot of cards made. 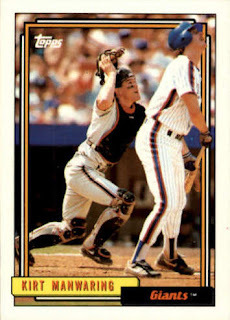 Maybe my favorite card was this 1984 Topps Traded 'XRC' - I probably dated myself with 'XRC' reference but I think that's what you called the first cards of players included in late season update sets as opposed to just referring to them as rookie cards [that were supposed to come from a nationally distributed card set]. 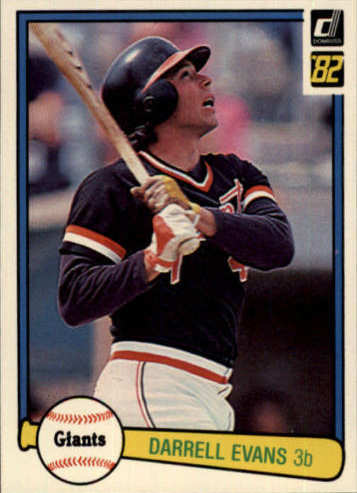 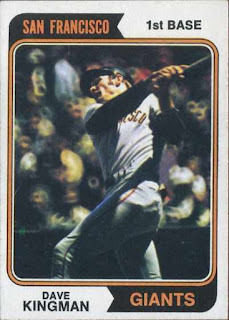 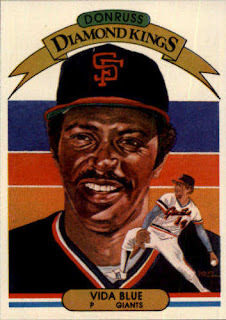 Topps used a cleaner, thinner card stock for the traded set - the backs are brighter as opposed regular 1984 Topps cards. 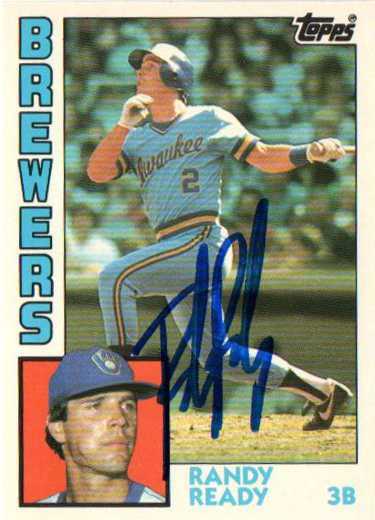 I picked up the 1994 Topps Gold for my 'inking it up' mini-collection and go figure, ended up getting the card signed at the 2016 MLB All-Star Fan Fest - the focus of my 'image based' mini-collections is on the cards and I like the keep the cards unsigned because when a card is autographed, it usually obscures the image on the card. 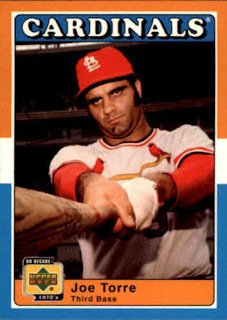 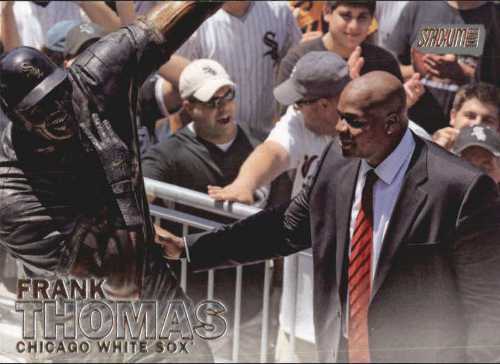 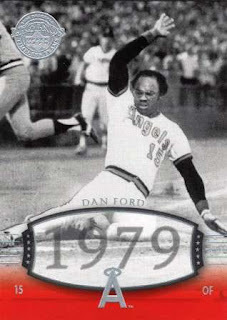 On the other hand, an autograph signed in a controlled, organized situation - can make a 5-cent card with a unique picture stand out a little more than a similar, unsigned card. 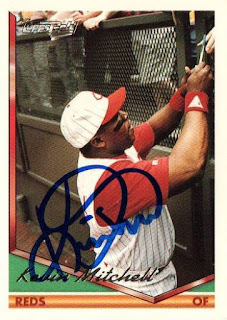 I've gotten his autograph in recent years, though I didn't see him this year until he made an MLB All-Star Fan Fest appearance - Orosco was a 24-year MLB veteran who appeared in a record 1252 games for 10 teams. 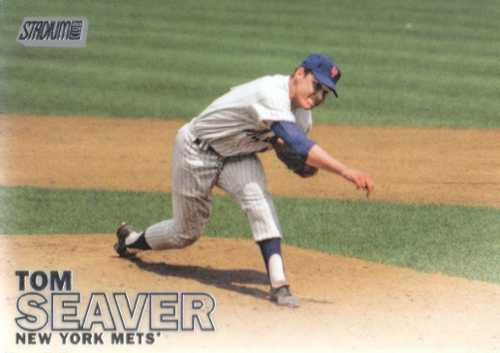 While a nomad after he left the organization - Orosco was a 2-time All-Star in his eight seasons with the New York Mets and closed out Game 7 of 1986 World Series. Pitchers Grant Holmes, Josh Sborz and Andrew Sopko maybe just the trade bait needed to land an ace like Chris Sale - who seems an obvious fit for the Dodgers now that Clayton Kershaw could be out for the season. The trio of Holmes, Sborz and Sopko have each shown they can pitch in the hitter friendly California League - but regardless of their performance or ceiling, the Dodgers maybe less reluctant to deal either one or all three as opposed to Julio Urias, Jose De Leon or Yadier Alvarez. 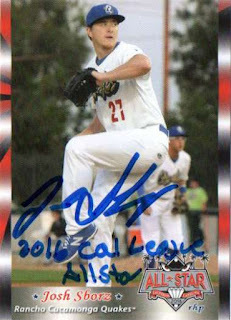 Sborz and Sopko were drafted out of college, so as long as they are healthy and effective, they may get to the big leagues by some point next year - while a team like the Chicago White Sox can wait for Holmes to make the progression a level at a time. 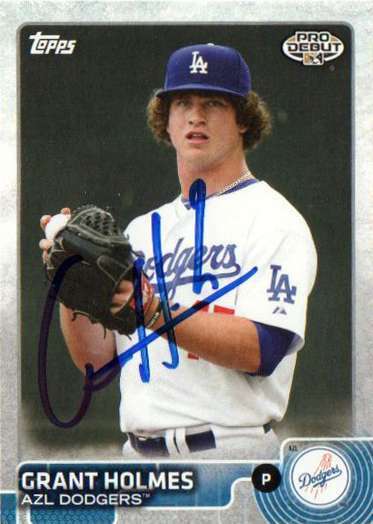 I really don't ask for inscriptions [particularly on cards], but it's cool to get something a bit more than an autograph [especially when the player has more of a scribble] - if a player is willing to add the inscription and it looks clean. 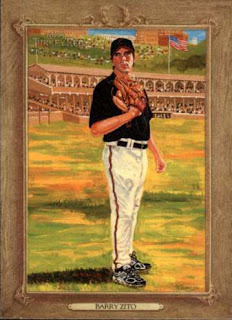 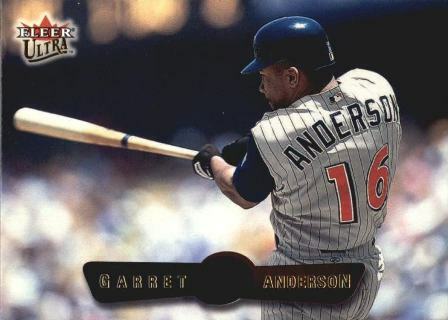 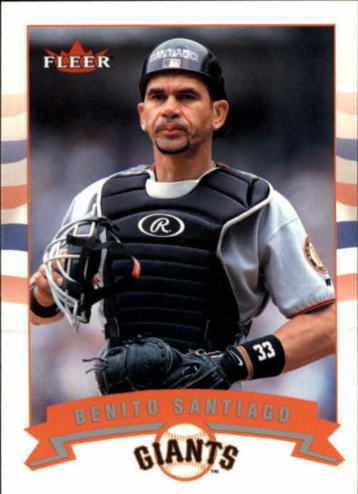 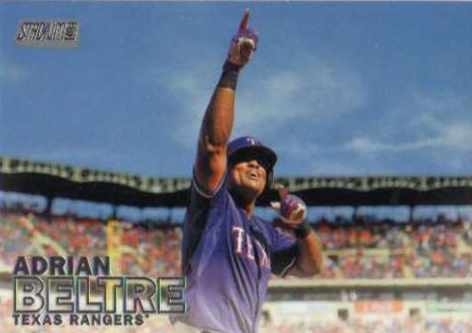 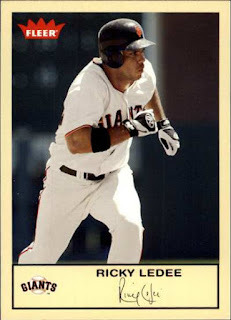 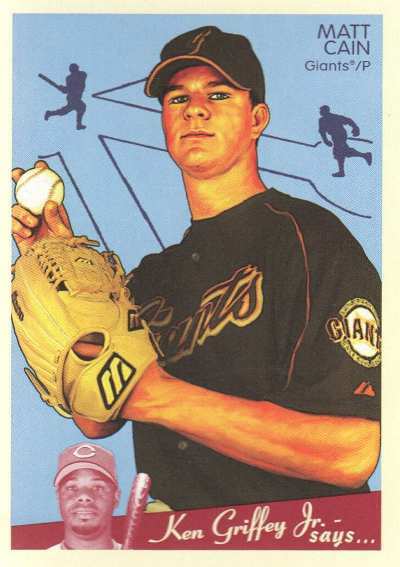 The former MLB superstar made an appearance during a minor league game in Lancaster California and I was able to get my 2001 Fleer Tradition set card signed - it was great for me to get his autograph for the first time and knock out a 15-year old set card. Team staff from the host Lancaster Jethawks were adamant that Clark would signing for a 6:30-8:00 p.m. and with the volume of people who lined up for an autograph - there were no photo ops taken with him and it was strictly one autograph per person. 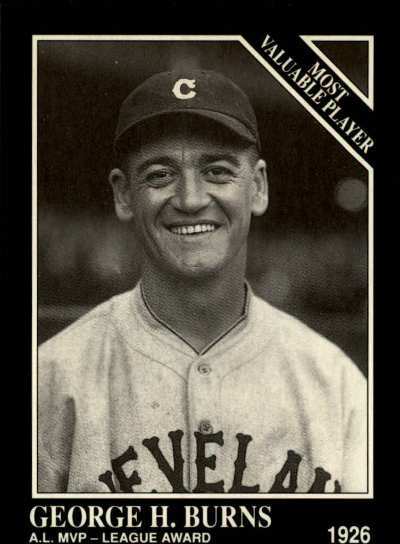 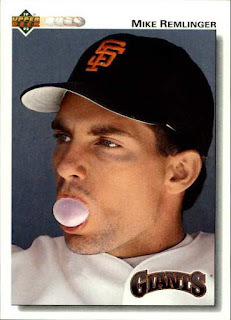 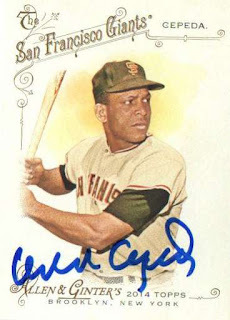 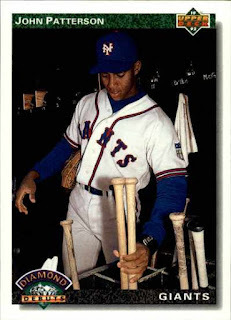 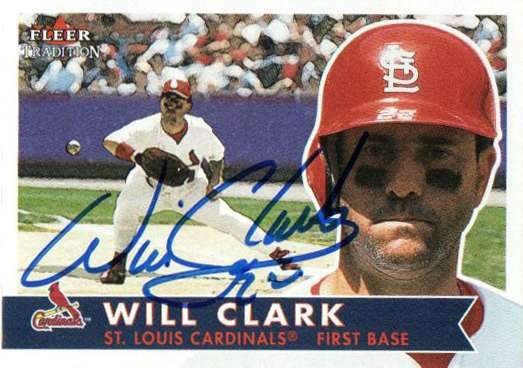 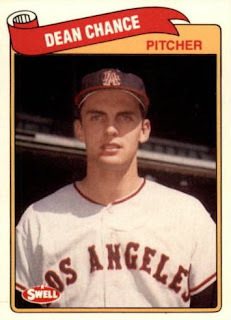 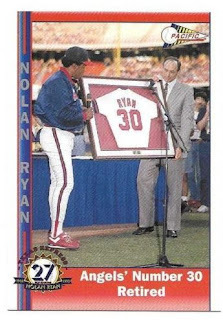 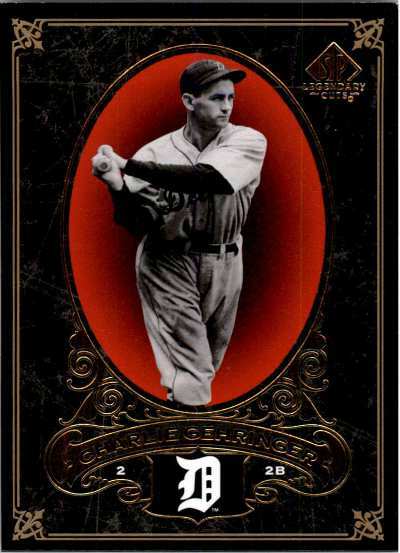 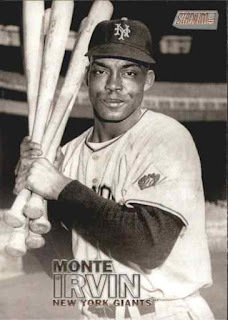 After the fact, I saw Clark was fairly accommodating, typically putting 'Thrill' inscriptions on non-card items like balls, flats and jerseys - while the team staff was watching over Clark, he would sign multiples if you plopped them down in front of him. 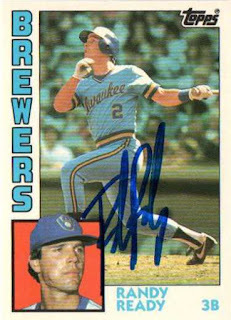 If you attended the signing with a family of people - then you racked up at least one time through the line, if not a second time through. 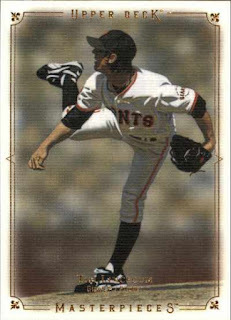 The players with the most cards in this repack - J.T. 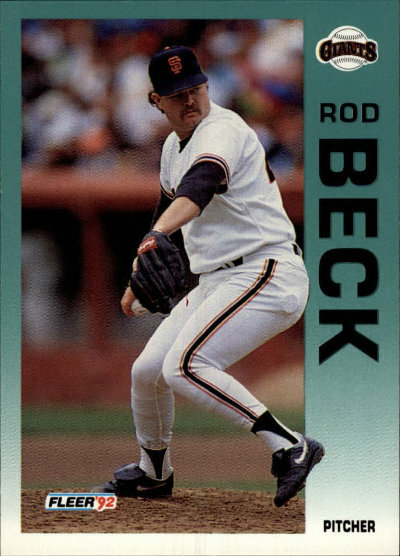 Snow x5, Jeff Kent x4, Kevin Mitchell x4, Robby Thompson x4, Mike Aldrete x3, Bob Brenly x3, Bill Laskey x3, Tim Lincecum x3, Barry Zito x3, Rod Beck x2, Vida Blue x2, Matt Cain x2, Kelly Downs x2, Darrell Evans x2, Noah Lowry x2, Don Robinson x2, Jason Schmidt x2, Jose Uribe x2 and Randy Winn x2. This was the first of two Giants repacks I picked up - I think the reason I grabbed a couple of Giants ones was I wanted an assortment as different cards as possible, even if I didn't really collect the team represented. 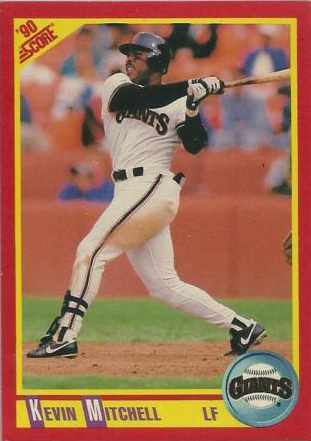 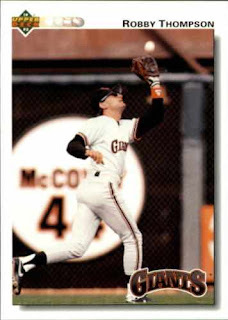 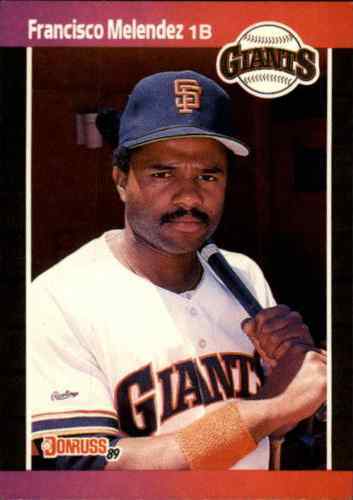 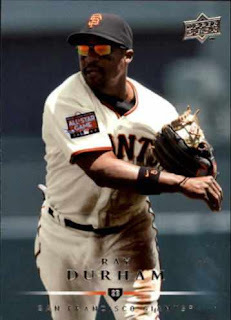 The players with the most cards in this repack - Rich Aurilia x5, Matt Cain x4, Kevin Mitchell x4, Robby Thompson x3, Vida Blue x2, Jeff Kent x2, Mike LaCoss x2, Tim Lincecum x2, Noah Lowry x2, Willie McGee x2, Mike Remlinger x2, J.T. 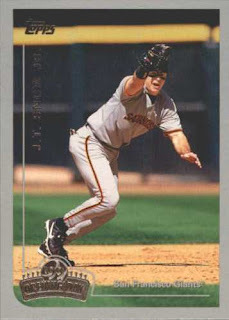 Snow x2, Jose Uribe x2, Omar Vizquel x2, Matt Williams x2 and Barry Zito x2. 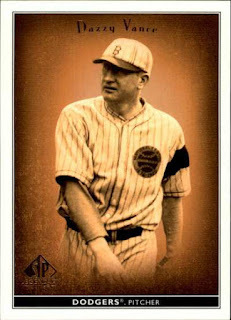 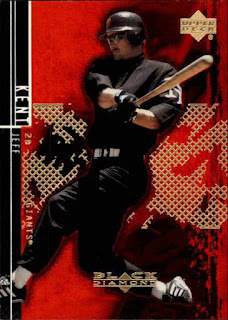 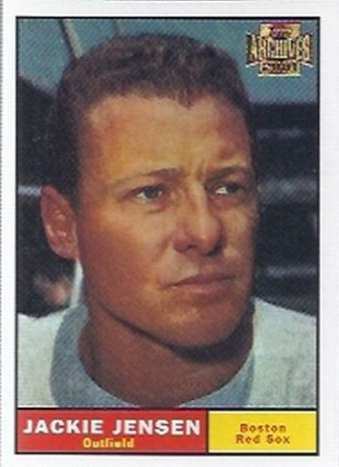 2000 Upper Deck Black Diamond Rookie Edition Jeff Kent #66 - this is a 'retro uniform' card I can add to my mini-collection, but wasn't a card I'd immediately seek out, so I figured I might as well grab the random 'pile of' repack with this featured. 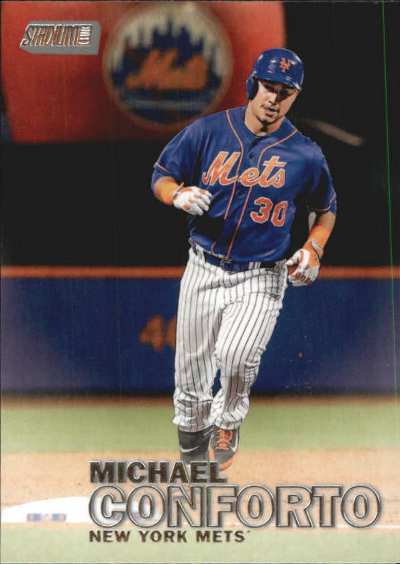 2009 Upper Deck Goudey Michael Young #191 - obviously not a Giant but these are repacks so who knows what card (s) I might find besides the general stated contents. One of the vendors at MLB Fan Fest was selling team repacks and while I want to stay away from repacks because I 'generate' my own 'repack content' through the loose cards that come into my collection - for a couple of bucks, I like going through various assortments of cards even if it's junk wax era [gasp] and/or cards that have been obscured through the years. 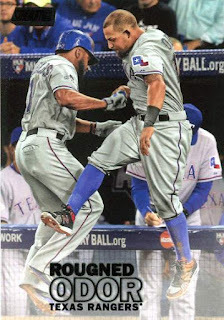 It seemed like only A's? 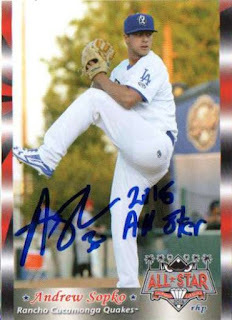 / Dodgers $3 / Angels / Padres $$ / Giants were represented - I grabbed an Angels and a couple of Giants ones to see what type of mix I could get [even if it's just one team represented per repack, I figure there might be some cards of interest]. 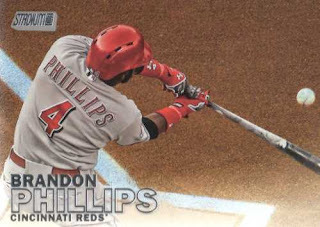 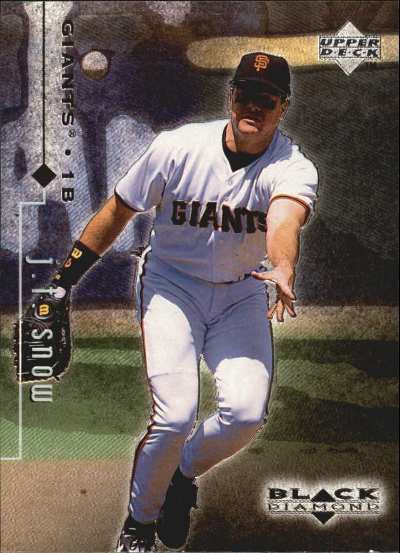 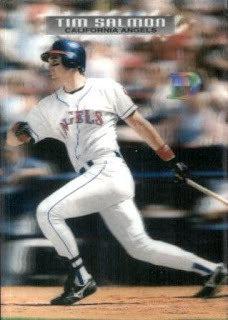 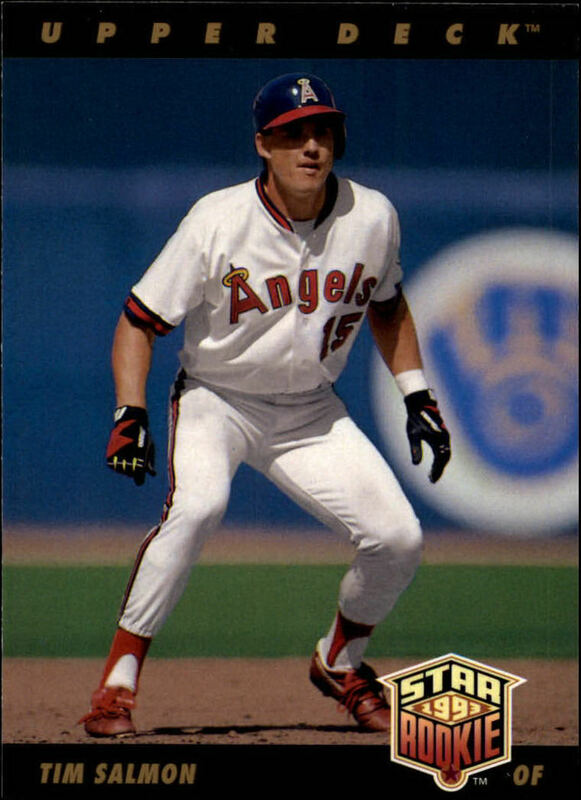 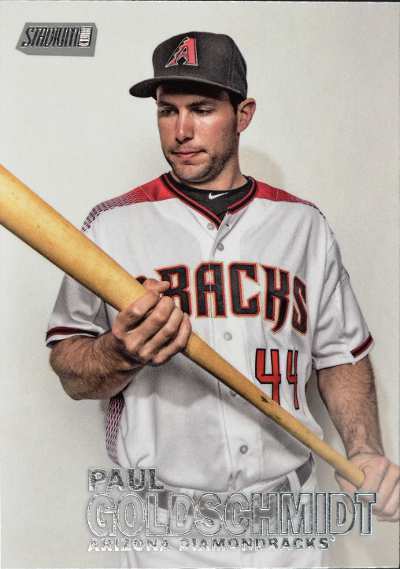 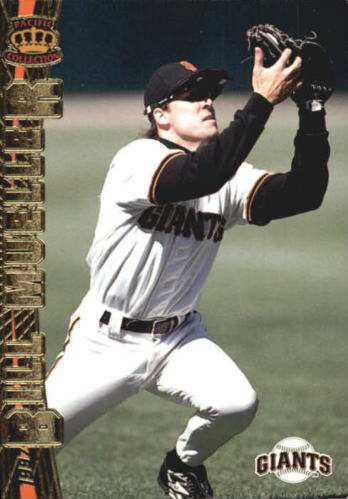 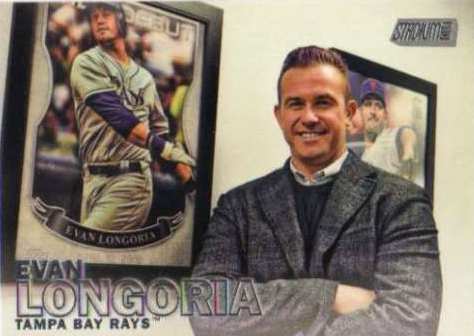 The players with the most cards in this repack - Troy Glaus x9, Tim Salmon x4, Garret Anderson x3, Torii Hunter x3, Francisco Rodriguez x3, Joe Saunders x3, Jered Weaver x3, Darin Erstad x2, Chone Figgins x2, John Lackey x2, Troy Percival x2 and Luis Sanchez x2. 2002 Topps Traded Brian Hunter #T8 - not an Angels card but these are repacks so who knows what card (s) I might find besides the general stated contents.